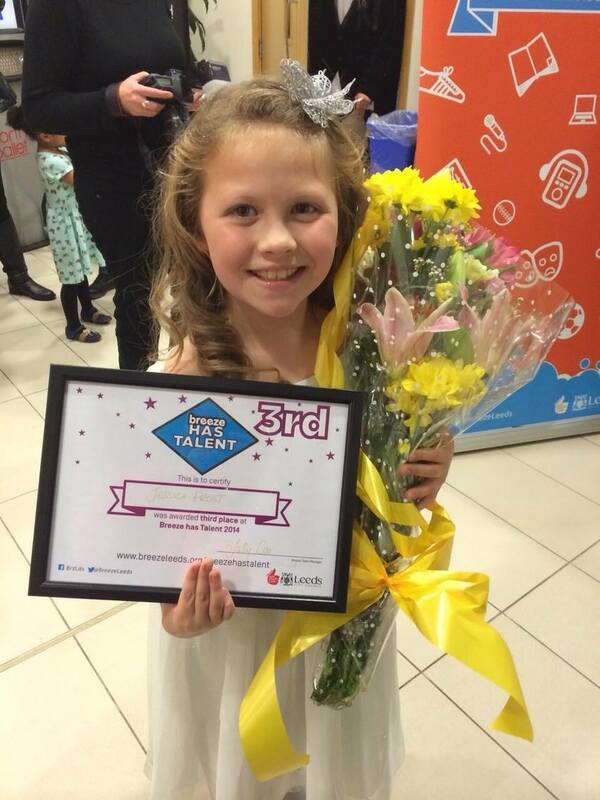 We are so proud of our little student Jessica Frost who wowed the judges throughout all 3 rounds of Breeze Has Talent. Jessica has been taking lessons at Pro Voice Studios for well over a year now and we have had the privilege of hearing her sing every week and seeing her blossom. When she first came to us her talent was very obvious. She was fun, animated, full of life and energy with a very big voice and passion for singing. Jessica has a natural ear for music, easily picking up melodies, retaining lyrics and real natural timing and rhythm. What have we worked on? Whilst Jessica has always sounded impressive, she did have a tendency to yell her way through a song, as 7yr old singers often do, which not only would tire her out but limited her song choices and range. Jessica has worked very hard practicing her vocal exercises and listened carefully to instruction to develop her voice, building strength, tone, range and stamina and her voice has become much more resonant and melodic. 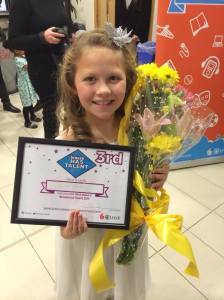 Jessica went in for Breeze Has Talent in August this year and since then has received opportunity after opportunity, singing at charity events, competitions etc and was asked to sing at four Christmas light Switch ons around West Yorkshire! Her mum just keeps getting phone calls and emails requesting Jessica and we know this is just the beginning! It is an absolute pleasure to teach Jessica and we know she has a big future ahead of her. We are very honored that we get to play a part in the journey. Watch out for Jessica May Frost!